To welcome our conference participants, please plan to attend the social mixer on Sunday evening. More details coming soon. 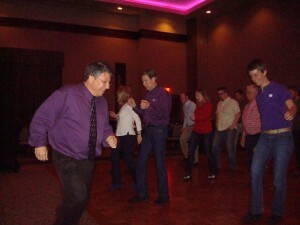 The Kansas Country Dance has become a conference tradition. 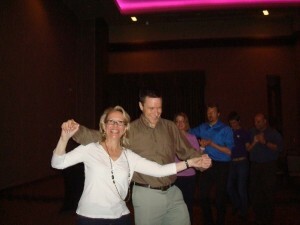 The dance is free to all conference participants. 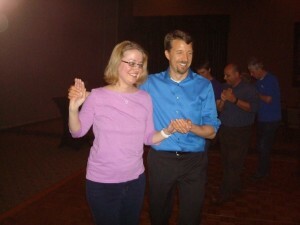 The activity will be mostly line dancing, so you don’t need a partner to participate. 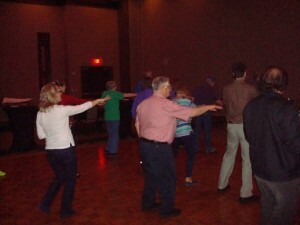 We’ll also provide an instructor, so if you have never tried line dancing before, you’ll be a pro in no time! A cash bar will be available. Past participants enjoying the dance!